Some GOP presidential candidates have been complaining that the Democratic candidates aren't being vetted as much as Republicans by the media. 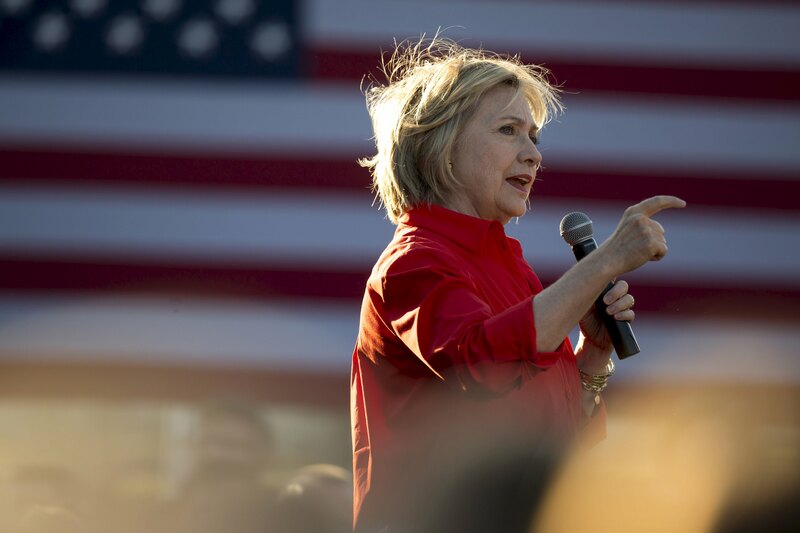 A few outlets, however, have been looking into a claim Democratic presidential frontrunner Hillary Clinton repeated earlier this week at a forum in Manchester, New Hampshire about how she tried to join the Marines in 1975. "He looks at me and goes, 'Um, how old are you,'" Clinton recounted Tuesday at a breakfast forum hosted by WMUR-TV. "And I said, 'Well I am 26, I will be 27.' And he goes, 'Well, that is kind of old for us.' And then he says to me, and this is what gets me, 'Maybe the dogs will take you,' meaning the Army." She became first lady of Arkansas just a few years later when President Bill Clinton was elected governor. CNN and The Washington Post's fact-checker note that Clinton has previously said she tried to join the Marines. There has been skepticism about Clinton's story from both the left and the right. Conservatives question why a Yale-educated lawyer who had worked on the presidential campaigns of two anti-war candidates would want to join the military. The New York Times' Maureen Dowd questioned the story when Clinton told it in 1994, when she was first lady. Dowd was dubious because of Clinton's opposition to the Vietnam War -- Clinton had "organized teach-ins on her opposition" to the war and had also worked on the anti-war presidential campaigns of Eugene McCarthy and George McGovern, Dowd noted. The story has remained the same over the years. "You're too old, you can't see and you're a woman," Clinton said she was told at the time, according to the Times. "Maybe the dogs would take you." CBS News is asking the Clinton campaign for comment. The Post also said earlier stories quoted Clinton's former friends explaining that the attempt to join the Marines was more of a test to see how easy it would be for a woman could join. "It was not a very encouraging conversation," she said. "I decided maybe I'll look for another way to serve my country." During the 2008 election, however, President Clinton told an audience that his wife tried to join the Army. CNN noted the Women Marines Association says that by 1975, women were allowed to serve in all occupational fields except infantry, pilot or aircrew, armor and artillery.